Over the past three Halloweens, Margaret Mitchell has documented the children who've arrived on her doorstep in costumes ranging from Maggie Simpson to a two-person, neon pink unicorn. Now the Glasgow-based photographer has collected 60 of the images in a digital tabloid newspaper, just in time for this year's holiday. 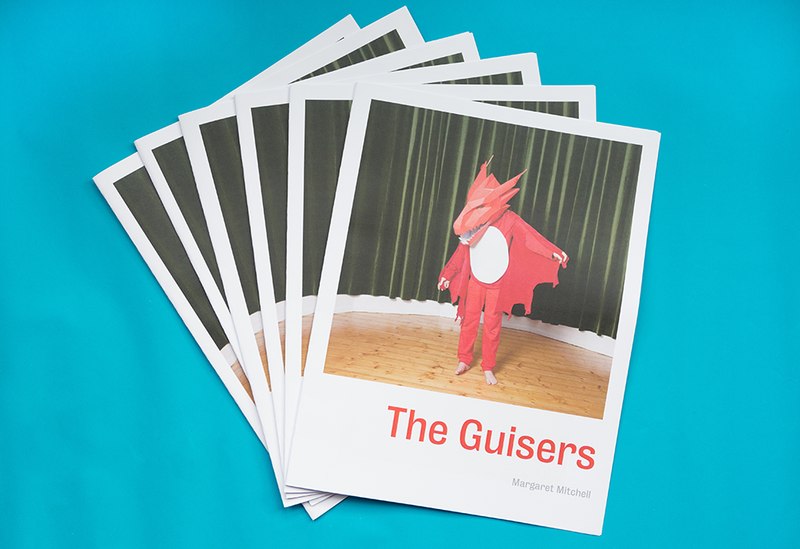 The Guisers is "a portrait of contemporary children within an ongoing tradition in Scotland," she says. Below, Mitchell tells us about some of the most memorable costumes in the series and what we can learn about how children choose to disguise themselves. How are you using your newspaper? I made the newspaper after photographing local guisers (from ‘disguise’) over three consecutive Halloweens between 2015 and 2017. The newspaper brings the project together as a finished piece. The families and children who took part will receive a free copy as a thank you and keepsake for taking part over the years. 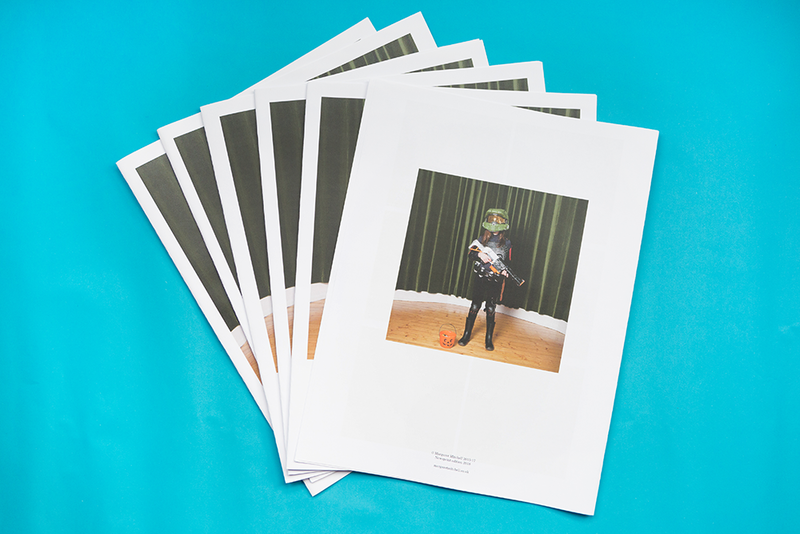 Other copies are available to buy in Street Level Photoworks here in Glasgow and online direct from my website. Copies are also being distributed to show the work in its final form and - for those outside Scotland - to promote awareness of the guising tradition. Can you tell us more about the work in the newspaper? The Guisers started back in 2015 and continued for the next two years on Halloween itself. There is a strong tradition of guising within my community here in Glasgow with lots of children visiting my flat every year. These are local children who are coming into my home, children whose parents you know or whom you know through friends of friends, who come as a group, or with parents - Halloween is very much a community event. The children do a dance or a song or a joke and get some sweets and fruit in return. 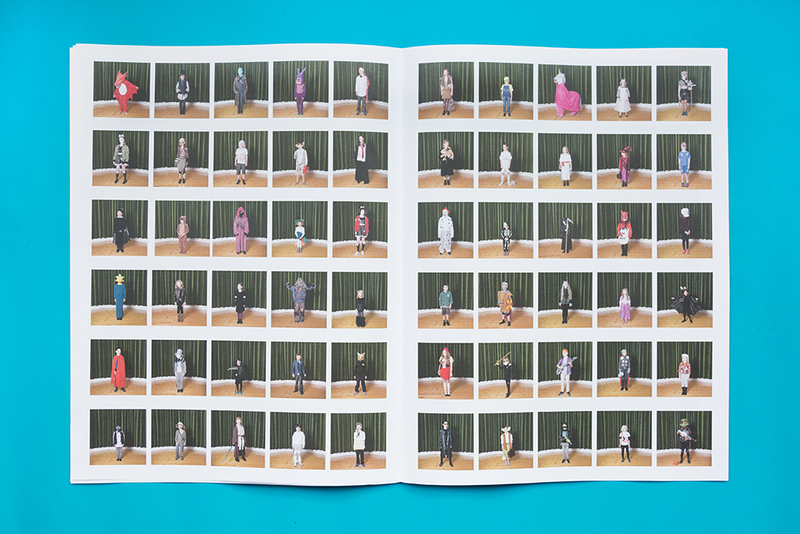 "The project looks at the complexity of being a child as displayed through their chosen costume." I photograph them in my flat when they are in that special place in their thoughts, during the experience of being someone - or something - else. It’s a little glimpse into their worlds, one we all had ourselves but have now forgotten. 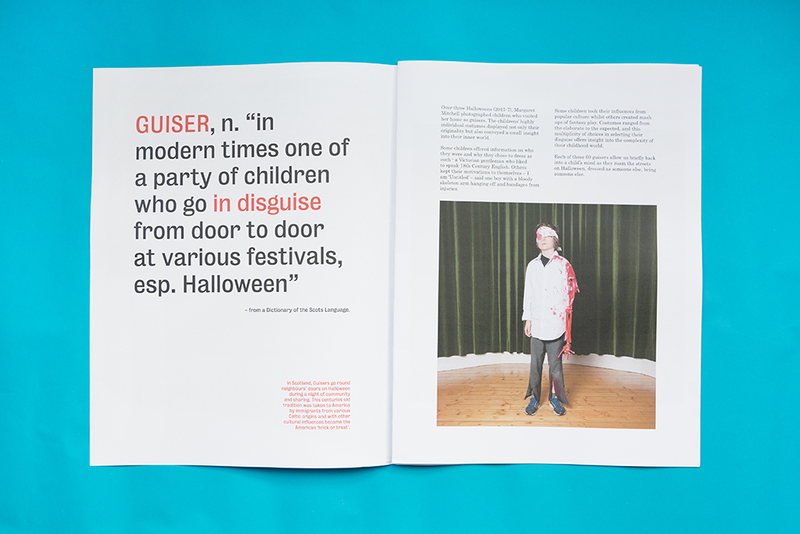 Essentially, the project looks at the complexity of being a child as displayed through their chosen costume—their ‘disguise’—at Halloween. 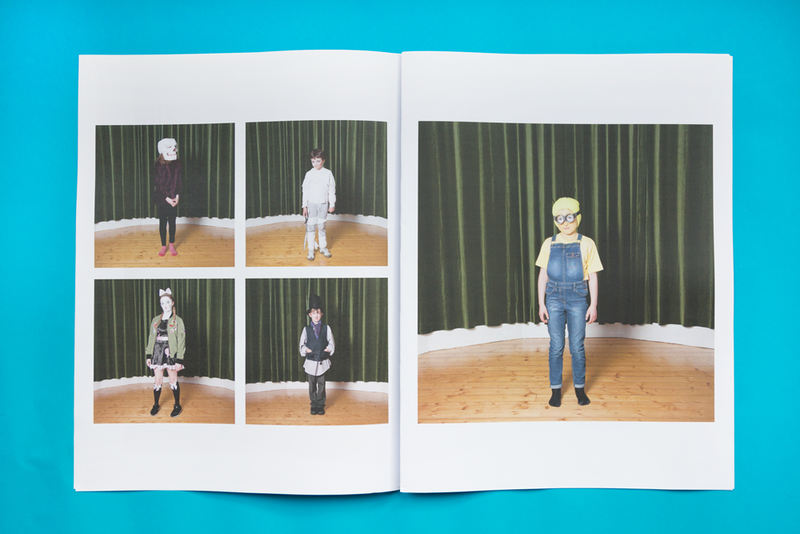 Costumes ranged from the elaborate to the expected and by presenting 60 guisers together it becomes a portrait of contemporary children within this ongoing tradition in Scotland. Guising has been going on here for hundreds of years with its roots suggested to be in the Celtic Samhain festival. It was taken to America by emigrants from various Celtic origins and added to other cultural influences to become the American trick-or-treat. But we still go guising in Scotland. The Guisers newspaper by Margaret Mitchell. 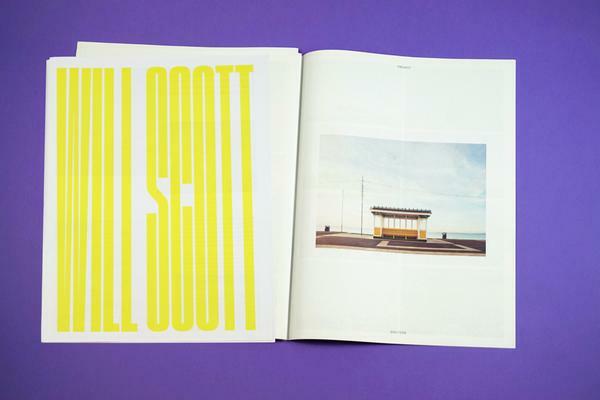 Printed as a digital tabloid on 90gsm paper. There’s so many great costumes, great ‘diguises’, created and worn by the kids that it is hard to choose. A couple appeal to me in different ways. The cover with the dragon is solemn and dignified but still a little playful. He is showing you who he is, this emotional space that carries over into the body language. What intensity, what beauty. Another is the boy with the bloody skeleton arm (shown above) who, when asked what he was, replied “Untitled” – an answer so intriguing that it allows the viewer to speculate on the what and the why of his costume. What do you like about the newspaper format? 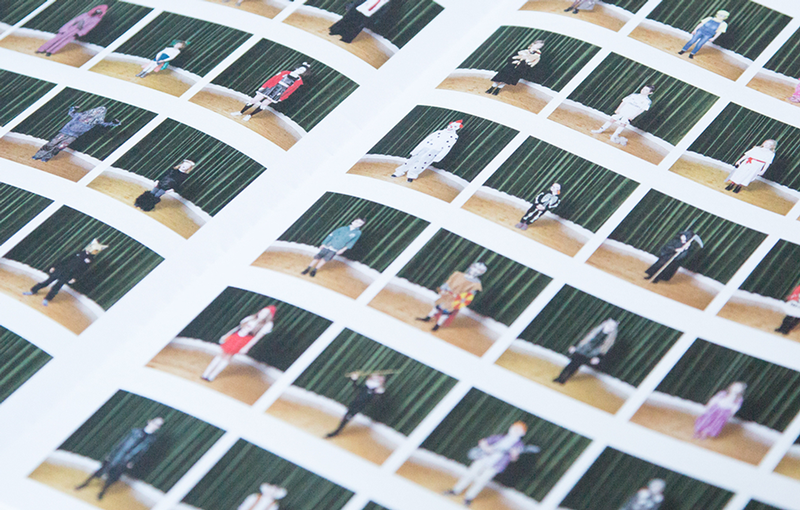 I love the unfolded digital tabloid on the 90gsm paper. It’s an ideal size to sit and look at. Images can be beautiful, colourful and big on the page, but it remains an intimate viewing experience and something special to keep. This is the third paper I have printed with Newspaper Club and I am in the process of designing another two for release shortly. For a freelancer, it’s a cost-effective way of showing and sharing your work. How did your photography career start and what do you do now? I studied photography back in the 90s at Napier University followed a few years later with a postgrad at Edinburgh College of Art. When I graduated from Napier, I worked within community arts, personal projects, residencies and commissions followed by over 10 years as a photography lecturer. I am now a freelancer again and work across a range of personal projects and commissions. Recent work has seen me involved with the charity Shelter, as a contributor to the book Invisible Britain: Portraits of Hope and Resilience, for the ‘209 Women’ project and for the Telegraph magazine. I meet so many different people it is a real privilege. Do you work with an analogue or digital camera, or a mix of both? Both. Much of my personal work is done on film, most commercial work on digital but it’s not set in stone. It’s a mix, the right tool for the job kind of thing. All my personal photography is generally concerned with the intricacies and complexities of people and their lives. Within that the question of collaboration becomes quite organic because of the way I choose to work. I involve people quite fully within my process. "Many people have Christmas boxes full of decorations – I have a Halloween one." Nevertheless, I remain the image maker but share the discussion, the reasoning with those I work with. Depending on the projects, people will contribute by suggesting places to be photographed, objects to have with them, or write the text that accompanies it. So yes, much work is collaborative, but I still lead the manner in which it is made. What do you like about working in Glasgow? I was born in Stirling but have lived in Glasgow for about 14 years now, it’s a place that I love and don’t think I’ll ever leave. There’s a real vibrancy and democracy around being involved in the arts with a lot of grassroots enthusiasm and activity in photography. As a city it’s a beautiful mix of culture, friendliness and energy. My son was born here and has that inbuilt pride that Glaswegians have about their city, it’s something quite special. What work are you most proud of from the past year? I loved making The Guisers but another series, In This Place, is closest to my heart. It is an extensive portrait and documentary series that looks at issues around social inequality. 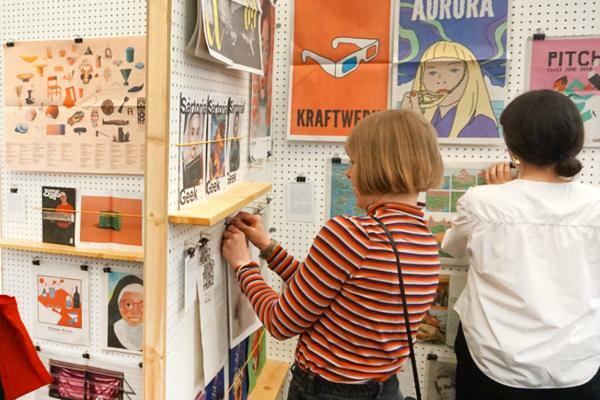 It started back in 2015 and culminated with exhibitions and awards connected to the work. Fundamentally, the work posed questions about how society operates and whether the choices we have in life are ultimately predetermined by upbringing, locality and socio-economic position. Do we have choices in life, or are some predetermined and made for us? "Images can be beautiful and big on the page, but [newsprint] remains an intimate viewing experience." 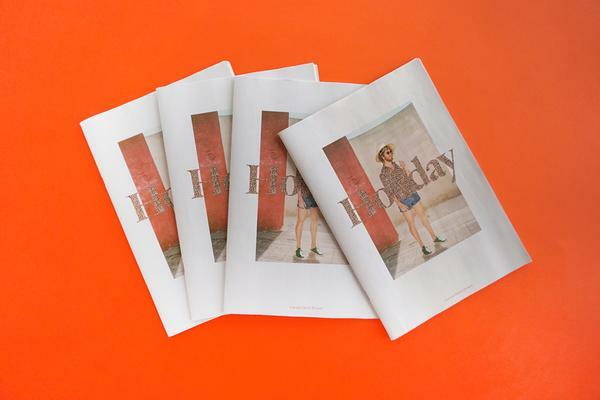 I made a publication with Newspaper Club to accompany its first exhibition at Street Level Photoworks and this really added to the experience of looking at the photographs on the wall and then immersing yourself in more images and text in the newspaper. I am currently finalising an updated version of the paper as well as one for the related series Family that preceded it in 1994. Following good support and success of the work last year, the series came 2nd in Contemporary Issues at the 2018 Sony World Photography Awards. This helped towards taking this very local Stirling-based story, about social inequality and family ties, out of Scotland and to a wider audience. It is close to my heart because of the issues it raises and because I worked with family members, so it is the most important recent work for me. 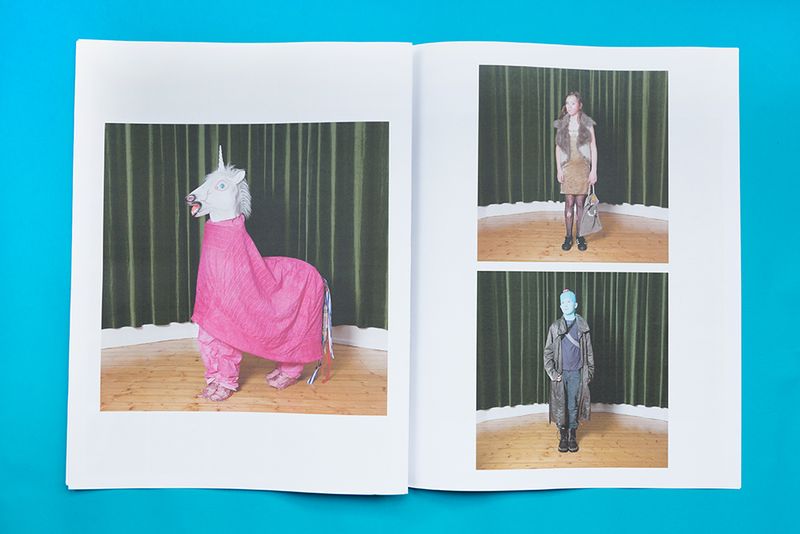 The work also fed back into those photographed and their sense of agency in sharing their life story. Who are some of your favourite photographers working today? There’s such a wealth of fantastic, varied and super talented photographers that it’s hard to name a few. But I’ll try. Susan Meiselas for her continued strong and ethical image making, Diana Markosian for beautiful, lyrical work and Rob Hornstra for his depth of storytelling. What advice would you give someone just starting out in photography? Find what you love and keep doing it. Don’t be worried about fashions. If you want to take photos of landscapes, pursue that, if you want to be a photojournalist or documentarian, follow that path and be a good, ethical photographer. Try and maintain a good support network, good friends, around you. Can you tell us about any projects in the works or coming up? The Invisible Britain book is just about to be released, accompanied by a tour launch. I’ll be on a panel with the editor Paul Sng who instigated the project, and Marie McCormack who I photographed for the book, at the Filmhouse [in Edinburgh] on 10 November alongside fellow photographers. In December, I’ll be down in Westminster for the launch of an exhibition in which 209 women photographers took portraits of the 209 women MPs to mark the centenary of suffrage. I’m also continuing my personal projects including those developed from issues raised from In This Place and others on childhood. And finally: will you be dressing up yourself for Halloween this year? Well, I love Halloween. Many people have Christmas boxes full of decorations – I have a Halloween one, so there’s a good chance I’ll be joining in. It puts a smile on the face of the guisers when they come knocking.